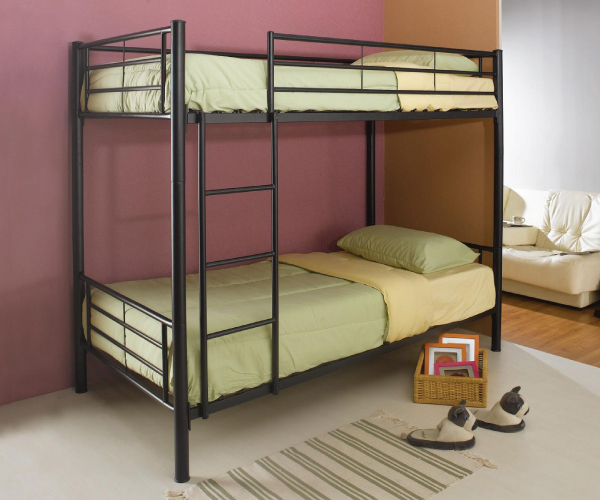 This lovely contemporary bunk bed will be a nice addition to the youth bedroom or spare bedroom in your home. 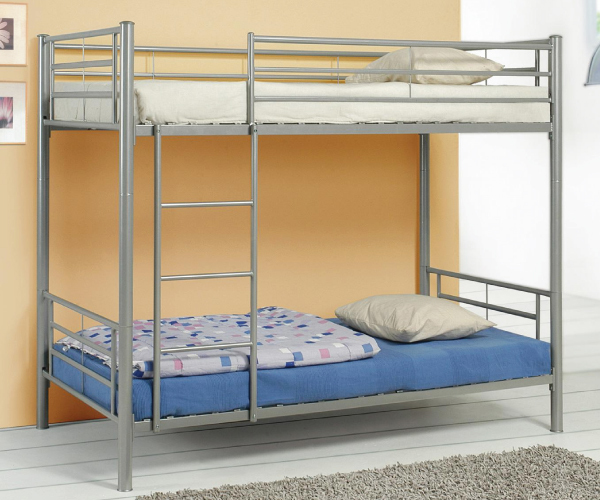 Make the most of your space with this sleek bunks, featuring round metal tube construction. Slide guard rails will keep your child safe as they sleep on the top bunk, and an attached ladder makes it easy to get up and down. Available in Silver and black finish, this bunk bed is sure to complement your decor. FL Comment: Mattress ready. Built in ladder for safety.